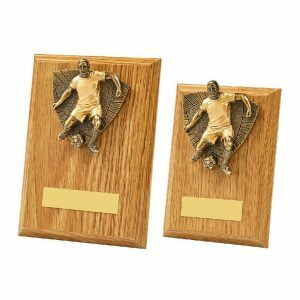 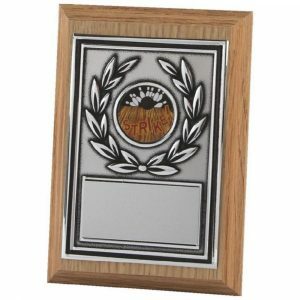 Our plaques and shields have both vintage style and a touch of contemporary flair, making them perfect for use at school prize-givings, sports tournaments and music or dance festivals. We also stock stylish options for businesses, so you can reward your top performers with something that they’ll want to display at home or work with pride. 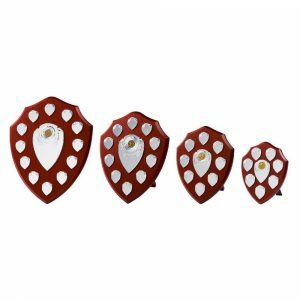 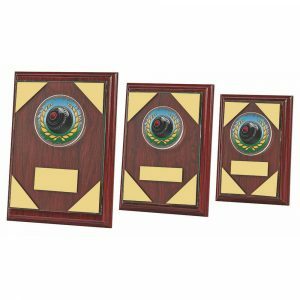 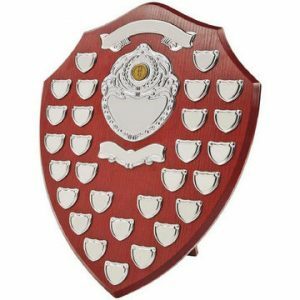 Shields and plaques have been popular choices for years, proving how practical and aesthetically pleasing these types of award are. 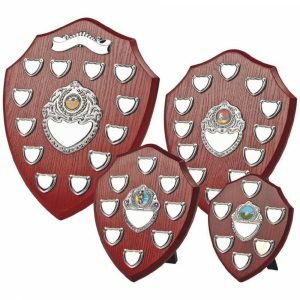 However, when you shop with us, you can buy everything from classic wooden single and annual shield awards to modern plaques which can be individualised by adding full colour prints of your event or company’s logo. We have pieces on stands as well as items that can be hung on walls, so the winners will be able to show them off with ease. Our product range includes items made from many high-quality materials, including light oak, black wood and jade glass, and we stock awards in a host of shapes and sizes. 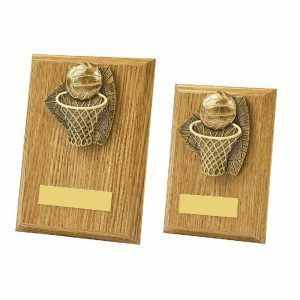 Some of our items have been designed with specific sports in mind and feature eye-catching images of sporting equipment or sportspeople in action, while others boast central pictures which can be replaced with illustrations of your choice from an assortment of appealing alternatives. 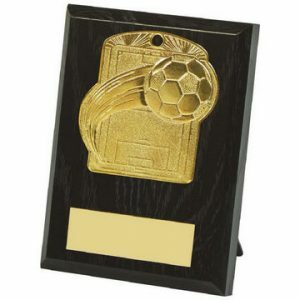 You can opt to have any of the products in our collection engraved to make them more personal. 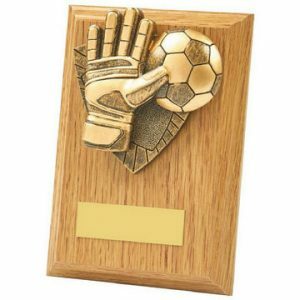 All of our engraving is done in house using up-to-the-minute techniques and the latest equipment, so you can relax in the knowledge that we’ll do an amazing job. 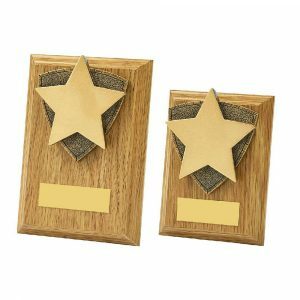 What’s more, our individualisation service is surprisingly cheap, so adding appeal to your awards could be more affordable than you’d expect. 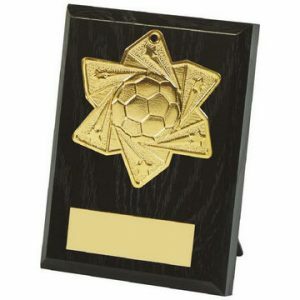 We’ve got awards for all occasions and it’s simple to order them online. However, if you want to chat to us about your particular requirements, just get in touch at sales@challengetrophies.co.uk or on 020 8722 0250 and we can help.